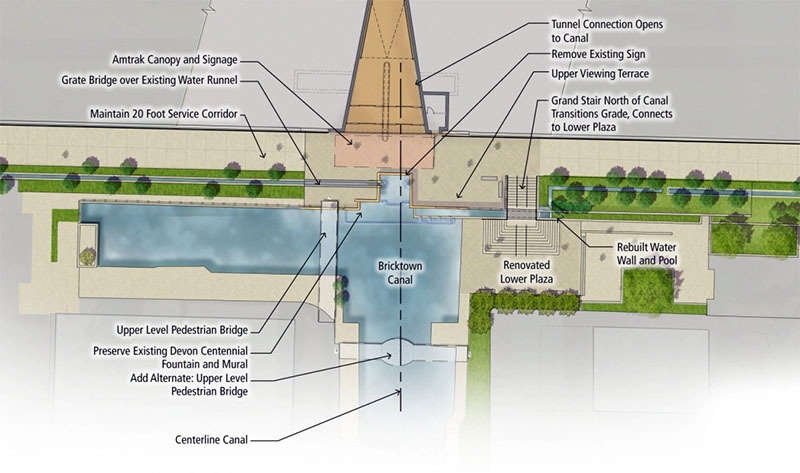 The downtown Oklahoma City transportation hub will not feature a tunnel connecting Santa Fe Station to Bricktown, but the city has started work on ehancing the existing connections for pedestrians. 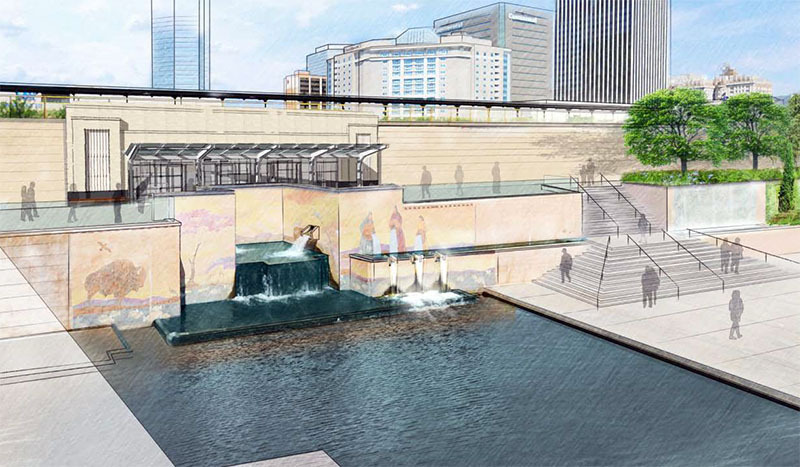 The pedestrian tunnel to connect the Santa Fe Station to Bricktown has been scrapped from the current project as two separate bids came back over budget, Wenger said. But he said it is something that could be considered in the future. 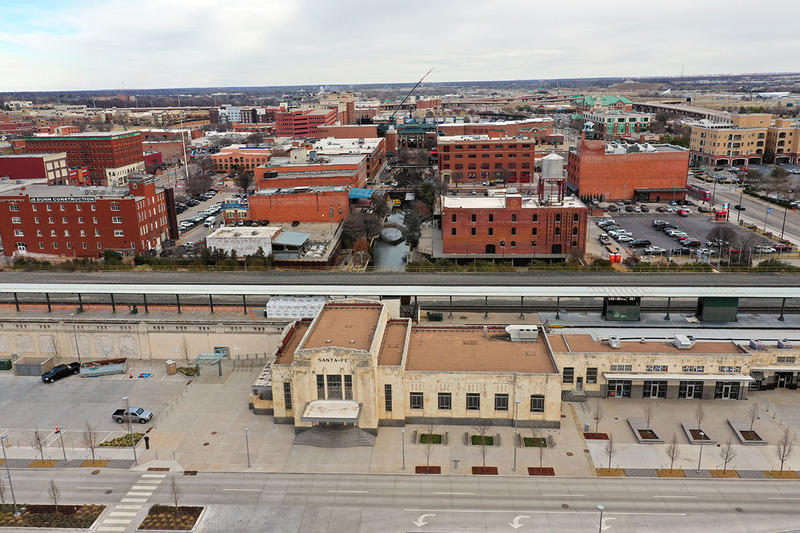 The Santa Fe Station building and the plaza are already complete, and portions of the rest of the work are already underway, Wenger said, including improvements to the Bricktown side of the railroad structure. 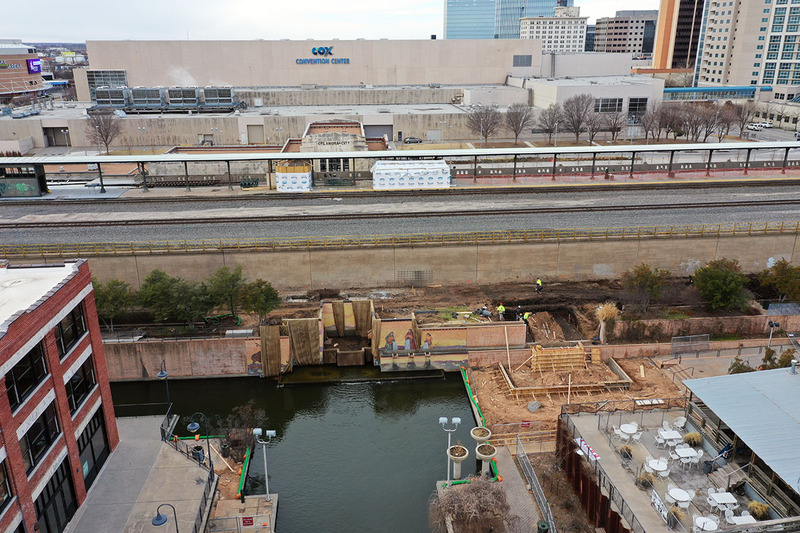 Construction is underway on the Bricktown Canal side of the project, which will include an upper viewing terrace with a grand staircase and a landscaped lower plaza area. That work is part of the final phase of the project, but a second package to the phase is what is going out to bid to make further enhancements. Wenger said the enhancements include improved lighting, walkability and access with railings and fences to help separate pedestrians from traffic. The city also submitted a $1.35 million building permit for platform improvements at the station, including lighting, painting, remodeling stairs and improving the elevator. Since completing the Santa Fe building and the plaza, Wenger said they have seen a tremendous amount of activity. He said the city is looking forward to completing the project which has been underway for several years.